Christology | ADULT CATECHESIS & CHRISTIAN RELIGIOUS LITERACY IN THE ROMAN CATHOLIC TRADITION: hosting ONLY True Christians!! !, or "How to think Catholic!!" “O Christ, eternal Truth, what is Your doctrine? And by what path do You direct us to the Father? I can find no other way but the one which You have marked out in virtue of the fire of Your charity. The path, O eternal Word, which You have marked with Your Blood is the way. O loving, tender Word of God, You tell me: ‘I have marked the path and opened the gate with My Blood; do not be negligent in following it, but take the same road which I, eternal Truth, have traced out with My Blood.’ Arise, my soul, and follow your Redeemer, for no one can go to the Father but by Him. O sweet Christ, Christ-Love, You are the way, and the door through which we must enter in order to reach the Father” (St. Catherine of Siena). “O divine Father, You have opened the Book of Life, Jesus Christ, before us, Your children. In Him, the God-Man, we find all that we could wish to know. Reading in Him, we shall be filled with holy knowledge; we shall find all the doctrine we need for ourselves and for others. But, O my soul, if you want to be enlightened and instructed, you must not read this Book of Life hastily or superficially, but slowly and attentively; then you will be inflamed with divine love and you will know the truth. Above all, O my soul, try to have a true knowledge of God and yourself; you can obtain this only by reading, meditating, and studying the Book of Life, Christ, Our Lord” (St. Angela of Foligno). “May my mind, my heart, my body, my life, be wholly animated by You, my sweet Life! I will love You Lord, my strength; I will love You, and will live, no longer through my own efforts, but through You.” (St. Augustine). Our reward is the promised “beatific vision”, which means the eternal and direct visual perception of God. It means seeing God face to face. St. Thomas Aquinas reasoned that one is perfectly happy only when all of one’s desires are perfectly satisfied, and this cannot occur until we are fully united with God. That complete union can happen not through human imagining nor even in the most deeply contemplative prayer, but only by the direct presence of God in heaven. Hell is to be completely separated from God for beyond eternity: no hope, no life, the second death, and that is why it is suffering beyond eternity. God will grant us our heart’s desire. Like on Earth, He will not violate our free will. If our desire is to be separated from God, by will, or by action, without repentance in this life, He will grant that, too. I say this first of all to myself, and frequently I remind myself, “Repent!! And, BELIEVE IN THE GOSPEL!! !” This IS LIFE!! 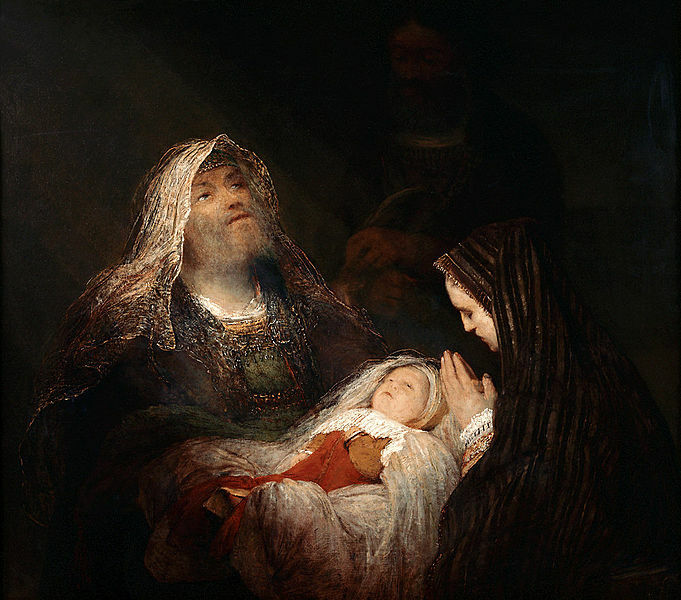 Presence of God – Give me light, O Lord Jesus, to see in the lowliness of the Child, the indescribable Majesty of the Son of God. 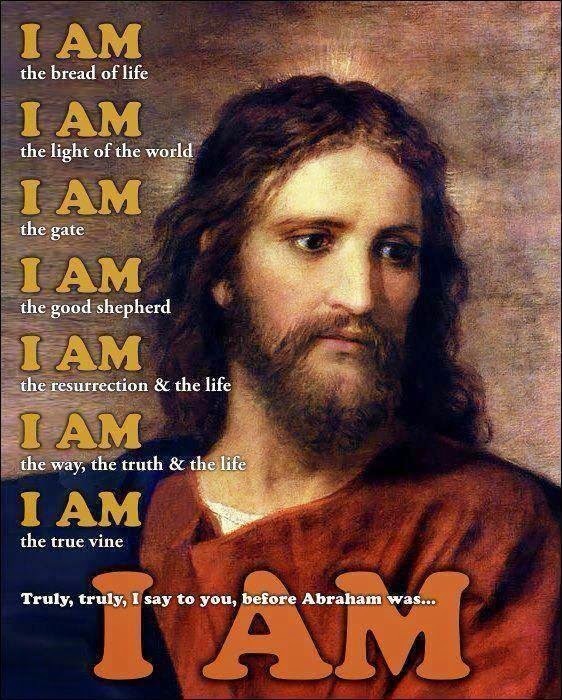 Jesus “is the image of the invisible God, the first-born of every creature; for in Him were all things created in heaven and on earth, visible and invisible … all things were created by Him and in Him. And He is before all, and by Him all things consist” (Colossians 1:15-17). This text from St. Paul summarizes the infinite greatness of Jesus. As the Word, He is the perfect, substantial image of the Father, having the same divine nature as the Father and proceeding from Him by eternal generation. As the Word He is the first-born of all creatures, begotten of the Father before all creation; furthermore, the Father created everything through Him, His Word, His eternal Wisdom. St John of the Cross teaches, “God looked at all things in this image of His Son alone, which was to give them their natural being and to communicate to them many natural gifts and graces…. To behold them … was to make them very good in the Word, His Son.” (St John of the Cross, Spiritual Canticle, 5,4). But the Word is not only the first-born of all creatures. Possessing the same divine nature as the Father, He is also their Creator, for “without Him was made nothing that was made” (John 1:3). All these splendors, which belong by nature to the Word, became the splendors of Jesus, the Man-God, by reason of His Incarnation and His hypostatic union. In fact, St. Paul declares that “in Him dwelleth all the fullness of the Godhead corporeally” (Colossians 2:9). Jesus was pleased to conceal all the infinite riches of His divinity in the obscurity of the manger; yet, guided by faith and love, we shall not be slow to recognize and praise Him in this lowly guise. “Thou hast multiplied Thy wonderful works, O Lord, my God; and in Thy thoughts there is no one like to Thee” (Psalm 40:6). “It is good to give praise to the Lord: and to sing to Thy Name, O Most High, to show forth Thy mercy in the morning, and Thy truth in the night. For Thou hast given me, O Lord, a delight in Thy doings; and in the works of Thy hands I shall rejoice. O Lord, how great are Thy works! Thy thoughts are exceeding deep.” (Psalm 92:2-3, 5-6). What work could be more wonderful than the Incarnation of Your only-begotten Son? 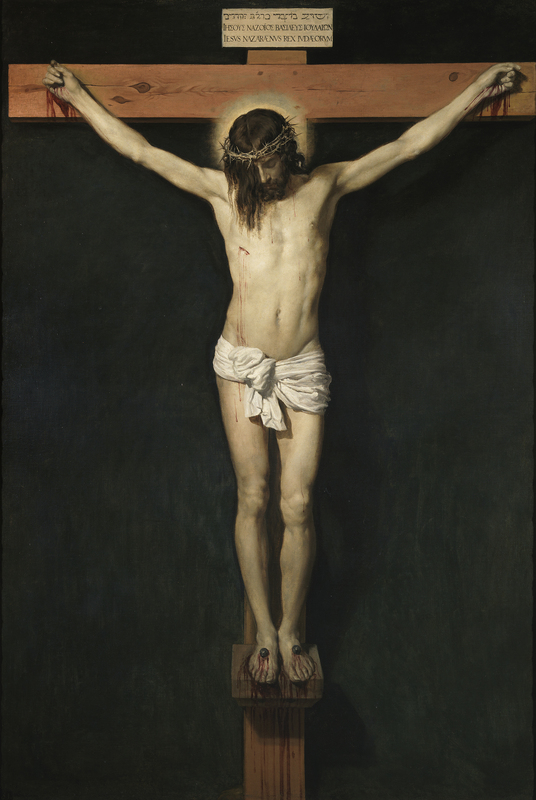 Is there any masterpiece more sublime than Jesus Christ, true God and true man, “in whom are hid all the treasures of wisdom and knowledge” (Colossians 2:3)? O Jesus, You make me understand that You are really God made man and You manifest Yourself to my soul with such majesty that I can no longer doubt Your infinite greatness. O Lord, who can comprehend the depths of Your great Majesty, You who are the absolute Ruler of heaven and earth? 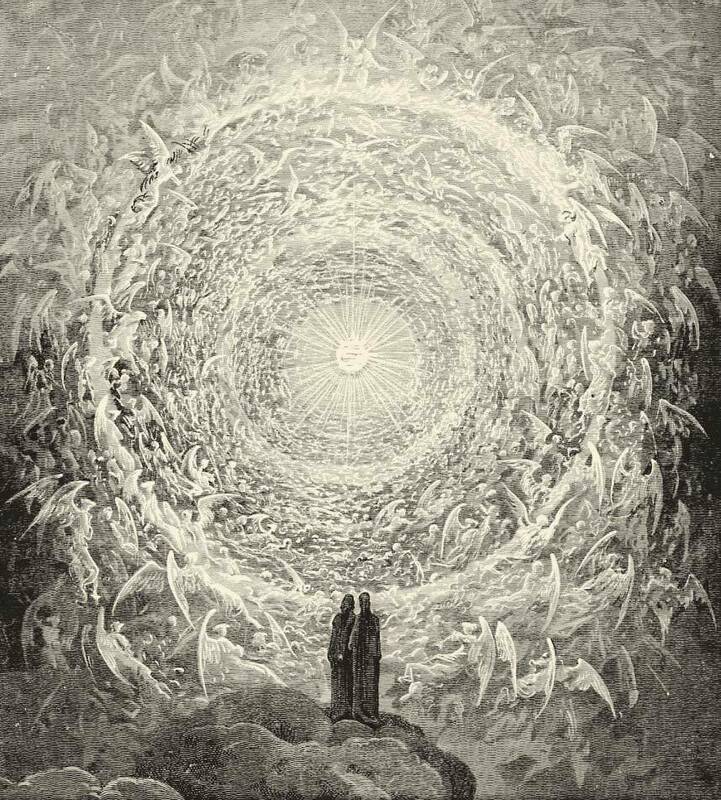 O splendor of the Father’s glory, who sit above the Cherubim and scrutinize the abyss, true light, shining light, unfailing light, on Whom the angels desire to gaze, behold my heart before You; drive away the darkness from it that it may be more abundantly inundated with the splendors of Your holy love. Give me Yourself, O my God, give me Yourself, that I may love You; and if my love is not very fervent, make me love You more ardently. “I cannot measure what is wanting in my love to make it what it ought to be, to make it run to meet Your embrace, and not to leave it until my life is hidden in the light of Your face; this I know, that all is a source of evil for me except You, O Lord, and not only what is outside of me, but also what is within me. All wealth which is not my God is poverty and misery for me” (St. Augustine). 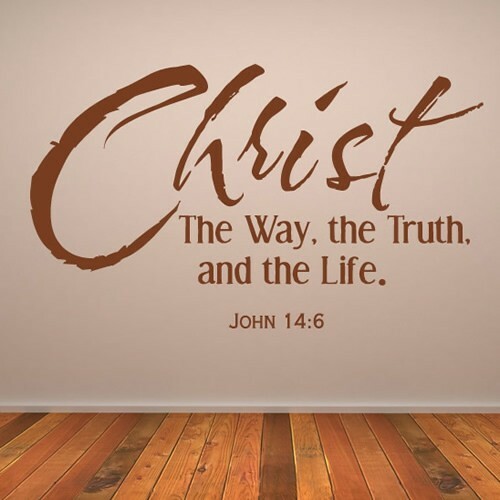 Is Christ the Way? Who is Jesus? ““All men by nature desire to know.” Aristotle’s opening line of the Metaphysics was true of humans then and is true of humans now. Children still explore the front lawn on summer mornings, asking eternally: “What’s that?” But what about those things beyond simple understanding? What about complicated things, like macroeconomics or human decision-making? And what about God? 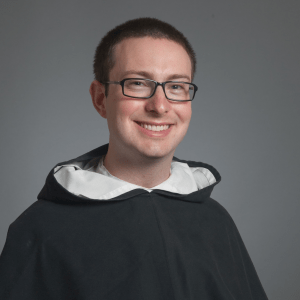 Any foray into apophatic, or so-called “negative,” theology, the teaching that what we know about God is more about what we don’t know about Him, must mention its most venerable cheerleader Dionysius, a monk from the early 500s: “We ascend from the particular… to contemplate the superessential darkness that is hidden by all the light that is in existing things” (Mystical Theology, ch. 2). 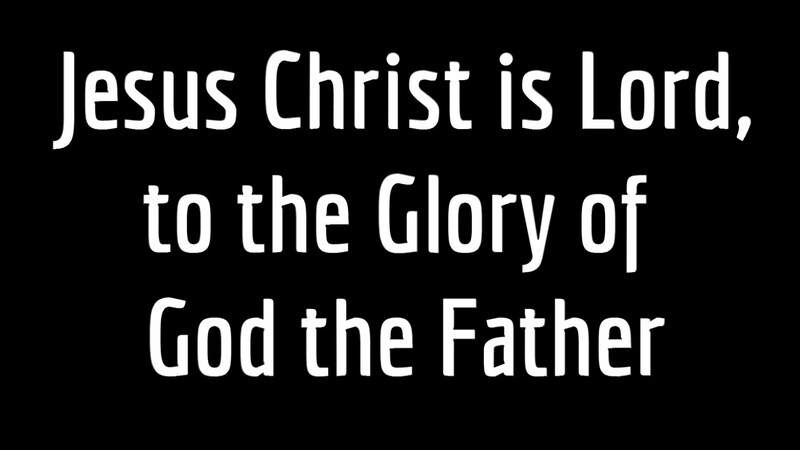 Christ clothed Himself in what came before Him. He is like Moses and David and a prophet and the Passover lamb. But He is not these things. He is God. Even after His coming among us, we must sing: “How unsearchable are His judgments and how inscrutable His ways” (Rm 11:33). “It has been said that there are two reasons why people do not go to church: They do not know a Christian, or they do know a Christian. Several times through the years I have heard people say they are no longer serving God because someone in the church let them down. Our maturity as Christians is put to the test when people disappoint us. No one has gone through life without such experiences. Several years after I came to Colorado Springs to pastor Radiant Church a fellowship of pastors decided it would be a good thing to bring our churches together for a united worship service. We secured the city auditorium and invited our congregations to gather for a Sunday night service. The response was terrific and the building was packed when we started the worship. The evening went well up to the conclusion of the service. To my surprise, the pastor responsible for the closing prayer departed from the planned order of service and asked all the pastors to come to the front and face the audience. He then said, “If anyone has a grievance against a pastor come forward and work it out.” Billy Graham would have been envious of the response to this altar call. People got out of their seats and moved toward me and my fellow pastors in what looked like a tidal wave of disgruntled parishioners. A line formed in front of me and one by one I listened to their complaints and responded as best I could. This process probably took an hour or two, but it seemed more like an eternity. After it was all over my wife Loretta said, “Don, I don’t know if you realize it, but you had the longest line.” This distinction was not one I wanted when I entered the ministry. I must admit I left that service wounded by the people I had worked so hard to serve. The apostle Paul also experienced his share of troubling relationships. In his last recorded words Paul includes a listing of several people who played important roles in his life. Some were positive in their influence and some were negative. His response is instructive as we make our way through the variety of relationships life presents to us. In 2 Timothy 4:9–22, Paul mentions several people by name as he concludes his last epistle. He is writing from a Roman prison cell facing the possibility of martyrdom. Among the names mentioned is a representation of some of the critical relationships we experience in our Christian walk. First, there was an adversarial relationship—“Alexander the metalworker did me a great deal of harm” (verse 14, NIV). It may be that this person is the Alexander mentioned in Acts 19:33. The idol makers of Ephesus were losing business because of the influence of the church, and incited the city residents against the Christians and their most visible leader, Paul. Consequently, the Jewish community, for fear of being associated with the church, chose Alexander to speak on their behalf. There is also an Alexander mentioned in 1 Timothy 1:19,20. This man’s faith was shipwrecked and Paul delivered him over to Satan that he may be taught not to blaspheme. 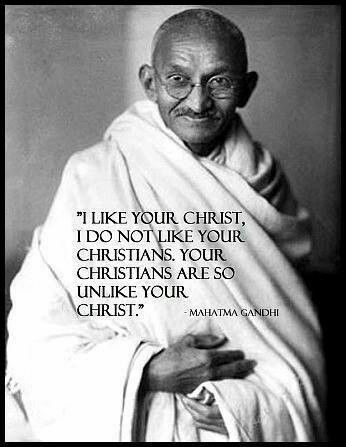 It is tough enough when unbelievers oppose us, but when a professing Christian does so it is most disheartening. 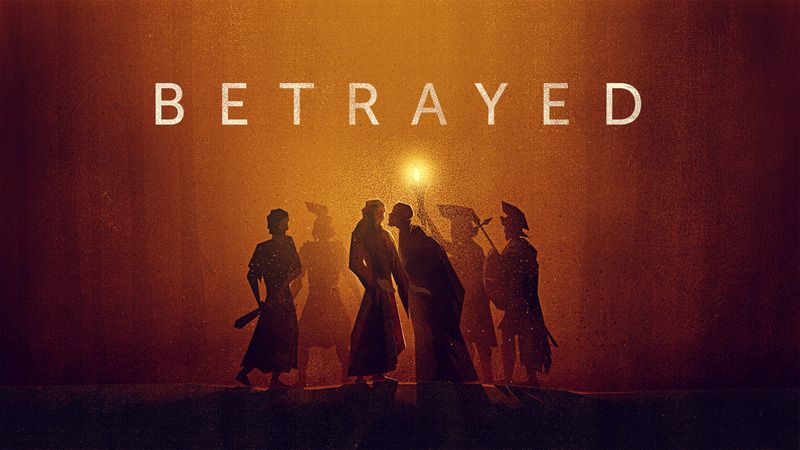 We do not know much about Alexander or the details of his activity, but Paul said he “did me a great deal of harm … because he strongly opposed our message” (verse 14,15). Responding to an adversarial relationship requires wisdom and prayer. Loving his enemy, and yet guarding himself against Alexander’s attacks, was a skill Paul had acquired in his walk with God. He taught us “Do not repay evil for evil. … Do not take revenge. … ‘It is mine to avenge; I will repay,’ says the Lord. … Do not be overcome by evil, but overcome evil with good” (Romans 12:17–21, NIV). So in response to Alexander’s opposition Paul said, “The Lord will repay him for what he has done” (verse 14, NIV). He rejected a life of resentment and retribution, and gave his hurt to God. Adopting this perspective will prevent the pollution of our spirit when we are tempted to retaliate. Furthermore, Paul protected himself from unnecessary injury by Alexander. He said, “You too should be on your guard against him” (verse 15). Paul was on guard against Alexander, and he advised Timothy to do the same. Loving our enemies does not mean we allow ourselves to be unnecessarily victimized by them. Second, there was a broken relationship—“for Demas, because he loved this world, has deserted me and has gone to Thessalonica” (verse 10, NIV). Demas was mentioned by Paul in his letters to Philemon and the Colossians as a fellow laborer. Demas’ action at this time was not a matter of opposition; it was a matter of failure. Demas deserted Paul in one of the most difficult moments of Paul’s life, and chose to pursue the things of the world rather than Christ. His timing could not have been worse for Paul. At this point some would throw up their hands and say, “It’s not worth it.” But Paul remained steadfast in his commitment to Christ and healthy in his attitude. The reality is there will be broken relationships resulting from the sins of others. Some times we are unable to repair the damage and are left with the heartache of a friend who chooses to persist in rebellion against God. Samuel experienced this kind of pain in his relationship with Saul. He did everything he could to help Saul be the man and king God wanted him to be. Unfortunately, Saul repeatedly disobeyed God, and finally the Lord said to Samuel, “How long will you mourn for Saul, since I have rejected him as king over Israel?” (1 Samuel 16:1, NIV). The Lord then sent him to the household of Jesse to anoint David as the next King of Israel. To endure in our Christian faith and service we must be willing to give to God those who have deeply disappointed us and move on. Third, there was a reconciled relationship—“Pick up Mark and bring him with you, for he is useful to me for service” (verse 11). Mark had disappointed Paul on this first missionary journey. Mark was part of the team, and in Acts 13:13 it states that John (Mark) left them. This departure was early on in the journey and was regarded by Paul as a desertion. When Paul and Barnabas discussed plans for their second missionary trip (Acts 15:36–41) Barnabas suggested taking Mark again. Paul refused and they were unable to agree, so Barnabas took Mark and set out on their own missionary effort. Paul then chose Silas to accompany him on his missionary journey. No doubt it brought great joy to Barnabas and Paul when Mark proved himself to be a reliable coworker in the kingdom of God. It must have been a poignant moment when Paul and Mark reconciled. Clearly they forged a trusted friendship as the years went by, so much so that Paul wanted Mark to be present during his time of suffering. “As a father has compassion on his children, so the Lord has compassion on those who fear him; for he knows how we are formed, he remembers that we are dust” (Psalm 103:13,14, NIV). Developing a forgiving spirit and a heart for restoration will prevent us from imposing a burden of perfection upon others that neither they nor we can fulfill. Fourth, there was a faithful human relationship—“Only Luke is with me” (verse 11). For everyone who had let Paul down, several had not. Paul taught us to think on good things. In this text he enumerates some who had brought him heartache, but he also lists the names of others who had consistently strengthened him. In fact, he names more in this category than in the other. He mentions Crescens, Titus, Luke, Tychicus, Priscilla, Aquila, Onesiphorus and his household, Erastus, Trophimas, Eubulus, Pudens, Linus, and Claudia. For each one who fails us there are many who have not. We tend to respond to the failures of a few by concluding that no one is trustworthy. Luke stands out as one of Paul’s closest and most trusted friends. Some even speculate that Paul’s statement, “Only Luke is with me,” indicates that Luke made himself a legal slave to Paul so he could enter the prison and minister to him. This seems possible given the record of Luke’s loyal friendship with Paul. Even the most mature saint will sometimes disappoint others. It may not be by grievous sin, but by not meeting their expectations. Being human we sometimes grow weary and cannot do any more in a given situation, or we misjudge what our involvement should be, or the offended party misunderstands us. These human episodes teach us mercy. When we feel disappointed in someone else we should remember that others have been disappointed in us. Hopefully we can respond with the gracious prayer “May it not be held against them.” Jesus gave us the example when on the cross He prayed, “Father, forgive them for they do not know what they are doing” (Luke 23:34, NIV). Last, there was a faithful divine relationship—“But the Lord stood at my side and gave me strength, so through me the message might be fully proclaimed and all the Gentiles might hear it. And I was delivered from the lion’s mouth” (verse 17). The faithfulness of God is absolute. I think sometimes He allows circumstances to arise in which we feel disappointed in people to test our dependence on Him. 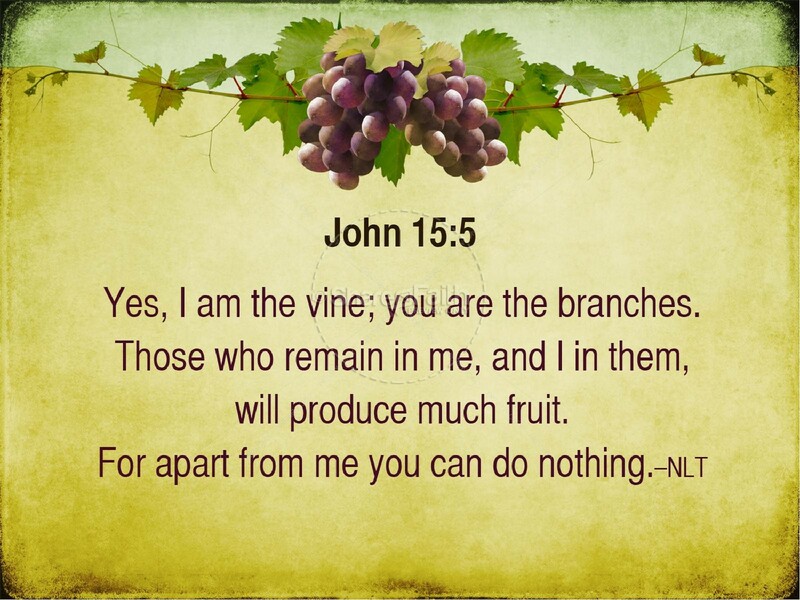 Without question, He has designed the body of Christ to be a sustaining influence for every believer, but our dependence on people can reach unhealthy proportions. Jesus Christ is the author and perfecter of our faith and when we can look beyond the failures of men and remain faithful to God, we have reached an important level of maturity in Christ that contributes strength to the rest of the Body. How we relate to people should be the result of our relationship with Christ. When our relationship with Christ depends on the performance of people, our faith is in peril. The moment when Paul felt all had deserted him was a critical moment in his walk with God. It was also a critical moment in his service to Jesus Christ. By not giving in to the disappointment, he experienced the empowering presence of Christ and was able to fully accomplish the proclamation of the gospel to the Gentiles in a hostile Roman courtroom. If he had given in, his heart would have been deeply wounded and an important opportunity lost.